Hughes Limousines operates 24 hours a day, 7 days a week. We would love to hear from you. Hughes is Australia’s only truly national limousine company, and operates in all major Australian centres. To book a Hughes vehicle in your area, we recommend using our online booking form. 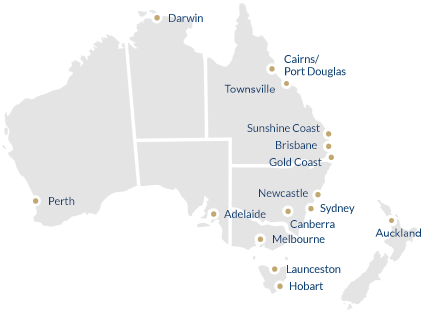 However, if you’d like to contact your local Hughes office directly, please click on the closest location to you on the map below.